Angela Maselli Ballantyne is an associate campaign director with Coxe Curry & Associates, a fundraising consulting firm serving nonprofit organizations in greater Atlanta and throughout the state of Georgia, where she provides strategic fundraising guidance and support for a diverse set of clients. 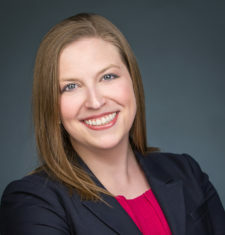 Prior to her role at Coxe Curry & Associates, Angela held various development positions with organizations such as Atlanta Ballet, Georgia Aquarium, Houston Ballet, and Broadway Across America. A graduate of Columbia College and the Savannah College of Art and Design with bachelor’s and master’s degrees in arts administration, Angela is also a graduate of LEAD Atlanta, Class of 2017, and a member of the 2019 Arts Leaders of Metro Atlanta. She stays active in many other organizations, including the Columbia College Alumnae Association, LEAD Atlanta Alumni Association, and the Association of Fundraising Professionals – Greater Atlanta Chapter. Angela enjoys dancing, traveling, and exploring Atlanta’s restaurant scene with her husband, Mitch, a director with SunTrust Robinson Humphrey.